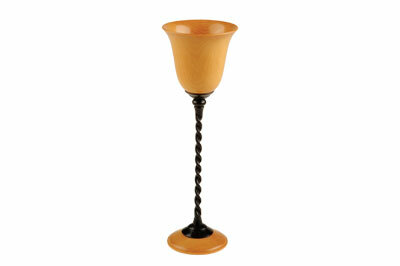 This finely turned goblet has been made from pau amarello (Euxylophora paraensis) and ebony (Diospryros spp.) 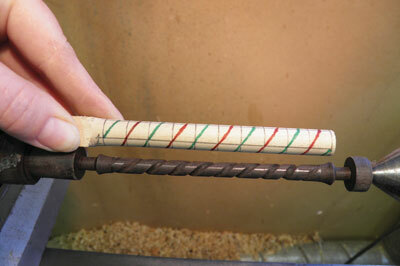 which, I think, contrast well. 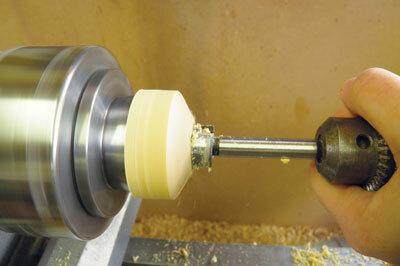 The cup and base have inserts made from ebony which add interest to the piece. 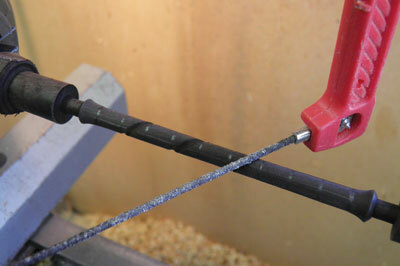 The stem is very thin so I have chosen to cut a double twist spiral. 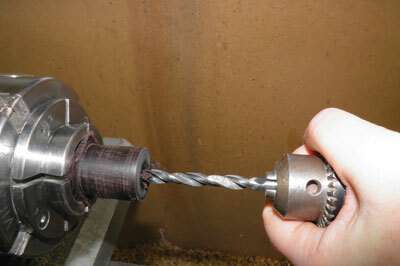 There are several processes to cutting the spiral. 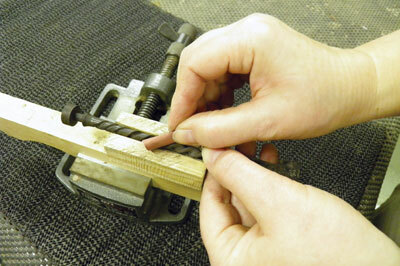 Firstly, while the timber is held on the lathe, the outline is drawn and the initial cuts made with a ceramic tile cutting saw which has a tungsten carbide blade. 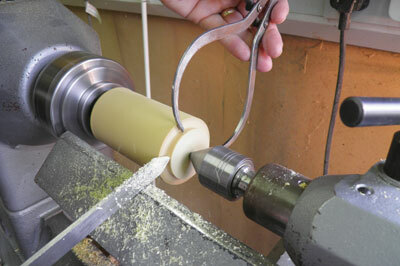 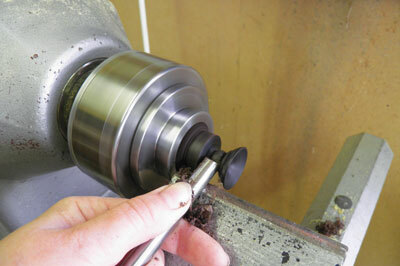 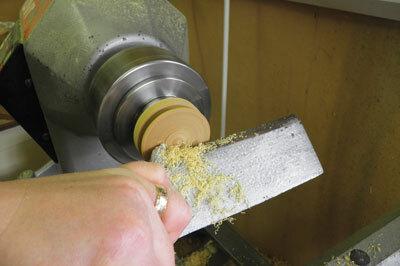 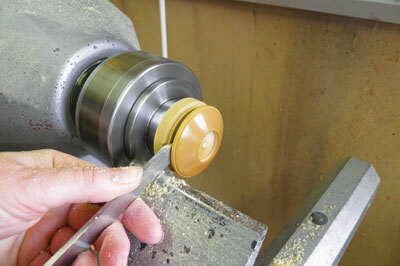 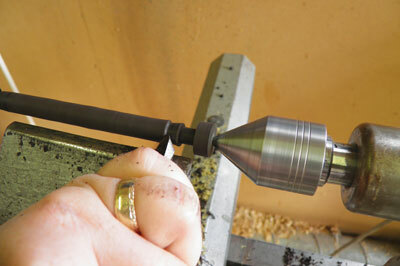 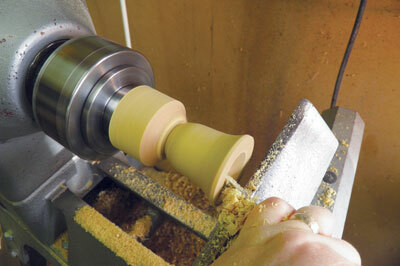 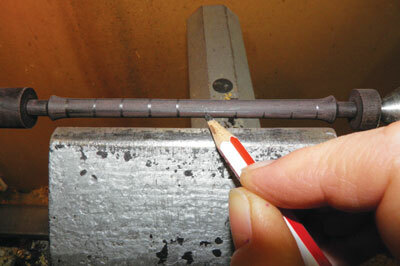 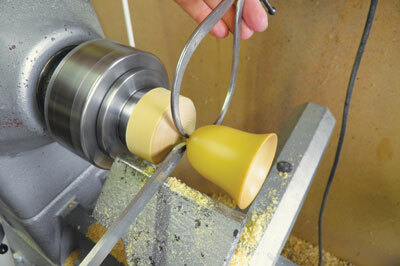 Due to the delicacy of the stem, when the basics of the spiral are cut, the piece is then best finished off the lathe. 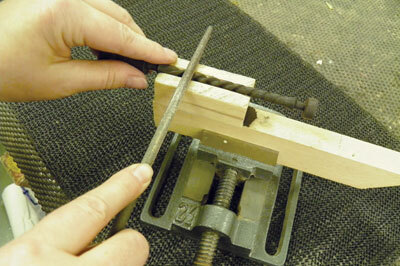 I made a simple jig, to support the stem, which is held in an engineering vice to hold it steady. 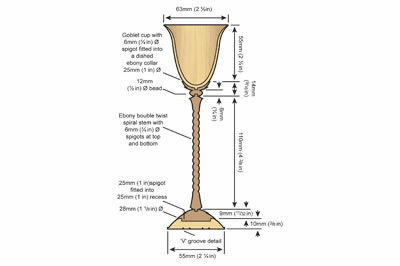 The excess timber at both ends of the stem is used to hold the stem securely when cutting the spirals. 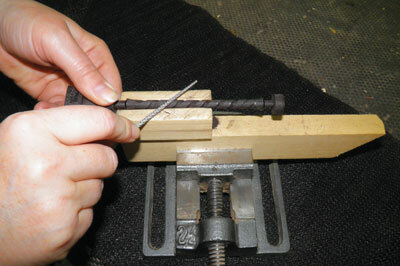 Various rasps and files are used to refine the shape and a groove is cut down the centre of the spirals to the correct depth with a hacksaw. 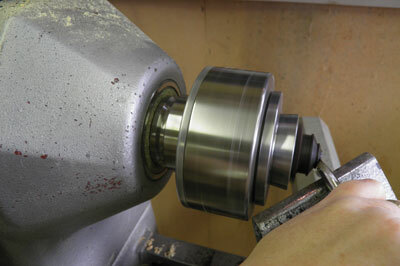 When you are happy with the depth and width of the spirals they are then sanded, still held in the jig, working through grits 120, 180, 240, 320 and 400 before a finish is applied. 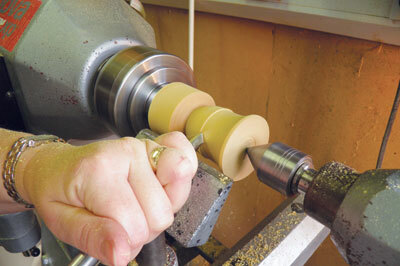 There is a lot of off the lathe work required to complete this project but with a little time and effort, the outcome can be quite spectacular.